Choice band is most common. 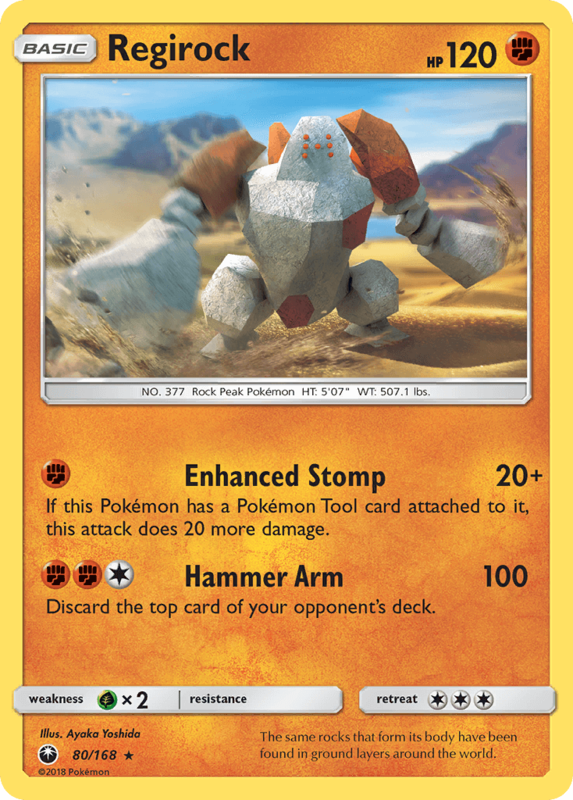 Regirock isn’t played much anymore, but it had a brief stint when Buzzwole/Shrine players used it. It hits for 10 more damage than baby Buzz early game, and that was relevant in some specific cases. There might be a few people who still use it, but it’s sort of faded out of usage as far as I’m aware.